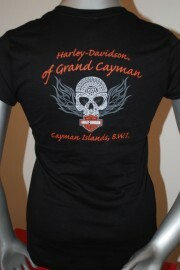 New in-store and online, ladies Cayman custom t-shirts. 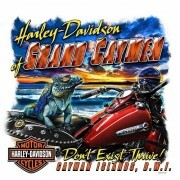 Check out Harley Davidson of Grand Cayman's new range of custom designed tees. Find them in-store or online. Harley Davidson of Grand Cayman has moved location to a larger location just steps from the old store on South Church Street. We're just minutes from the cruise ship dock, so don't forget to stop by on your next port of call!